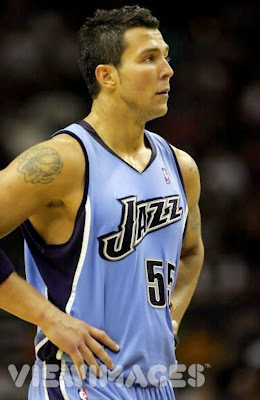 Rafael Araújo is a professinal Brazilian basketball player who has also spent some time in the NBA with the Toronto Raptors and Utah Jazz. 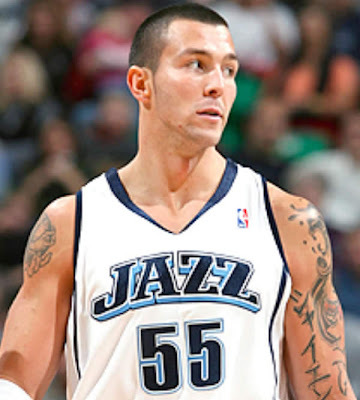 Rafael has quite a few tattoo designs, mainly on his arms and back. 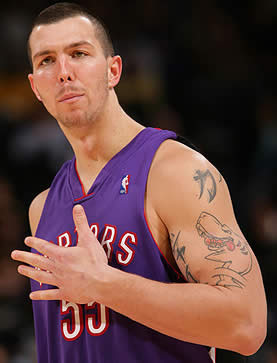 On his left arm is a tattoo of a hand holding a basketball, along with 3 Kanji characters. 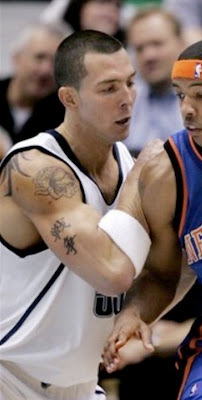 On his right arm is a large tattoo of a cartoon style shark with its tongue sticking out, along with a couple more larger Kanji characters, on his bicep and shoulder. Rafael Araújo also has a rather large tribal style tattoo across the top of his back.